Earlier this month, research firm CB Insights released a report that detailed the rise in cybercrime over the past two years and the simultaneous increase in interest in cybersecurity in C-suites across the country. The staggering numbers involved in recent data breaches may well have prodded companies across the U.S. to grab the bull by the horns. 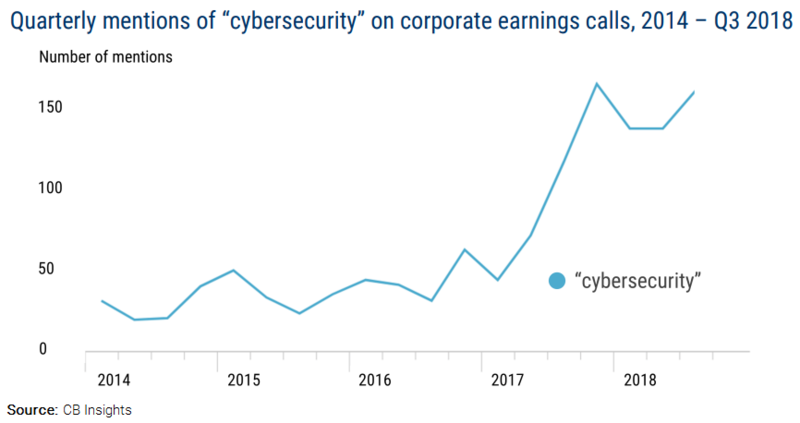 According to a CB Insights graph, total mentions of “cybersecurity” on all public earnings calls tripled from 2016 to 2018, going from 50 mentions to 150. In the media, we saw quarterly news mentions of “data security” nearly double, increasing from about 250 in 2016 to roughly 500 in 2018. 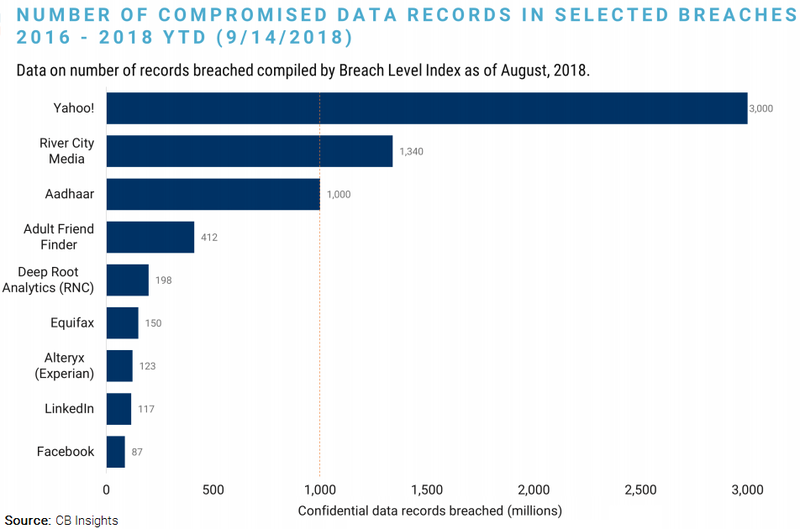 According to data pulled from the Data Breach Level Index, approximately 6.7 billion records were compromised in eight breaches between 2016 and 2018, including the infamous Equifax breach (150 million records affected) and the catastrophic Yahoo breach (all 3 billion of its user accounts thought to have been affected). Notably, the list of eight breaches CB Insights looked at was not exhaustive. Meanwhile, The Council has been monitoring mentions of the words “cyber” in the earnings calls of several of the larger publicly traded insurance brokerage firms, and observed a trend that corresponds to the trend identified by CB Insights in the earnings calls of other publicly traded US organizations. Since 2015, mentions of “cyber” have risen each year, going from six in 2015 to 37 in 2016 to 67 in 2017. 2018 is also on track to show a similar number of mentions of “cyber” to 2017, though the year is not yet over. Both startups and big tech are also rising to the challenge. Thirty-plus startups are working to protect data, operating in areas such as data anonymization, quantum encryption, or blockchain data management. On the big tech side, companies like Google, Apple, and Amazon have all filed patent applications for processes in the realm of protecting client privacy, such as a system to detect large-scale data leakage in the cloud (Google) and system for the management of encrypted cloud data storage (Amazon). It’s clear from the extensive mobilization across all sectors to confront the problem of cybercrime that it is a problem that will only get worse in the coming years as malicious actors devise new ways to attack firms operating in every industry, not just insurance.